/ Try LouVelo for 50% off! 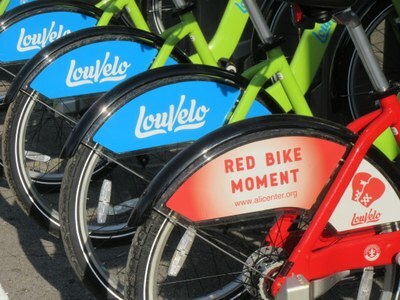 Half-priced monthly memberships are now available for UofL students & employees to join LouVelo! Use gift code CARDBIKE at LouVelo.com to try out the new citywide bikeshare system with stations at Belknap & HSC!